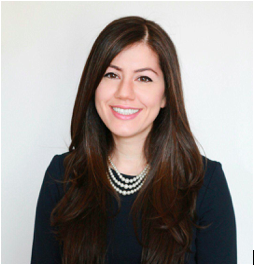 Canton, MI — Emgage, a national non-profit and non-partisan civic education and engagement organization, is excited to announce Nada Al-Hanooti as the new Executive Director for its Michigan chapter. Nada brings both deep experience in grassroots organizing and an extensive knowledge of political advocacy to this leadership role. The daughter of Palestinian immigrants, Nada is a well-known community organizer from southeast Michigan who knocked on over 4,000 doors of voters in her recent run for Dearborn City Council. She previously served as field coordinator for Rashida Tlaib’s campaign for Michigan state representative. Nada received her B.A. in Political Science and Journalism from the University of Michigan-Dearborn and her Masters in Women and Gender Studies from Eastern Michigan University. While pursuing her graduate studies, she researched the Muslim women’s movement in Morocco. We are grateful to our outgoing Michigan Executive Director, Hassan Sheikh, for his outstanding service in establishing Emgage as a premier civic education and engagement organization in Michigan and we wish him well in his new community and economic development position with the city of Hamtramck.